New parents have a huge, steep learning curve. There are classes for us to choose to learn all about pregnancy and labour…and then after your little one’s born, you’re suddenly handed your beautiful baby without a manual, to raise. Like, good luck, parents, you’ve got this! It can be difficult enough to feed, bath, clothe and soothe your baby to sleep when they’re well, but when they’re not feeling great, how do you know? We all know how to take care of ourselves when we feel poorly, but taking care of your child when they’re so small and unable to tell you exactly how they feel was something I never thought about until our own boys were born. There’s a great deal of the unknown that you’re trekking into every day and as a parent there’s a piece of equipment I’ve bought about five different kinds of in the hope that it’s the right one for us. Guessed yet? It’s a thermometer. I’m no medical expert, but what I do know is that when they’re poorly, the first thing I want to know is if they’re running a high temperature. I feel so much happier when I’m able to gauge my boys’ temperatures accurately and have that information to hand if I need it. Nurofen for children have developed an amazing way of doing just this. I wish with all my heart that I’d had it when Jens was a baby, because it’s genius. The Nurofen for Children FeverSmart thermometer. 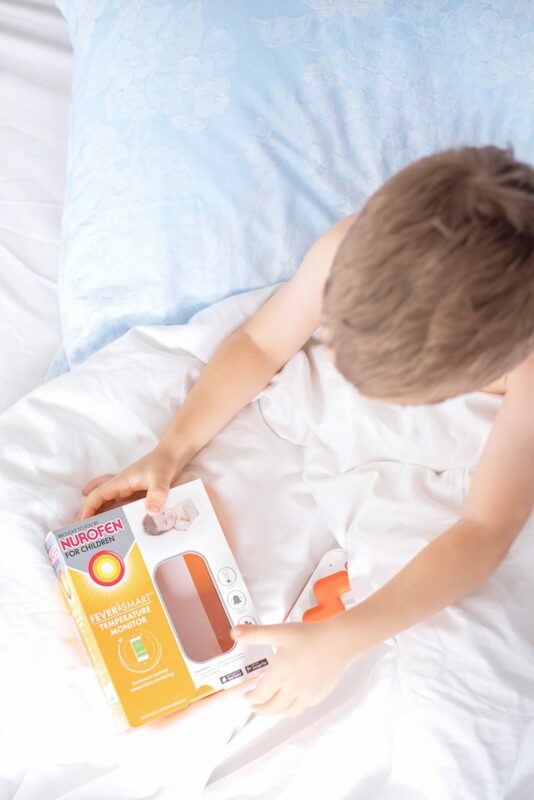 Nurofen for Children FeverSmart thermometer is an orange, Z-shaped monitor which sticks to your child’s body with disposable silicone patches. Using the FeverSmart app on your phone or other device, via Bluetooth, you can read your child’s temperature. The thermometer sits on a little base/dock kind of thing, which requires 3 x AAA batteries and means that the thermometer is constantly charged. There is nothing worse than finding something you need is out of batteries. This unit needs to be within 1.5 metres of the thermometer for it to work properly though – which accounts for why the unit is so small and can fit anywhere. Ours is next to Suzy Snooze. The base unit sends the information to your phone, not the thermometer itself. The FeverSmart app is easily downloaded from your app store and set up – input your family details and each person can be monitored when needed. When the pad is applied and the profile set up, your child’s temperature is tracked after a few minutes of warm up. A graph shows how their temperature is progressing. 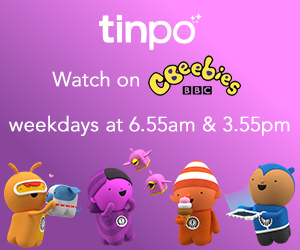 If you’re super busy with more than one child, and especially when you’re blearly eyed from staying up all night with your poorly child, the app is brilliant as the screen colour tells you instantly whether your child’s temperature is normal [green], moderate [orange] or high [red]. The app will also sound an alarm that alerts you if your child’s temperature exceeds 38 degrees celcius. 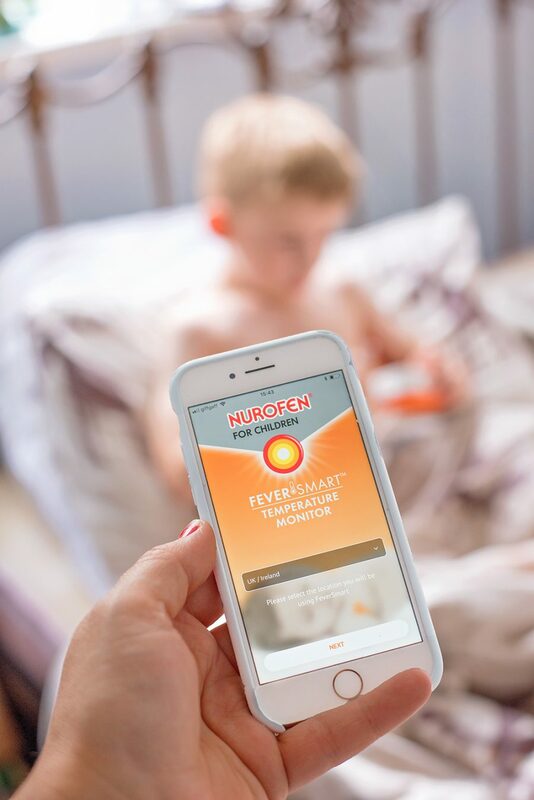 The Nurofen for Children Fever Smart thermometer is brilliant – unsnappable – unlike the thermometers of old, inedible – thanks to its shape, and also practically impossible to lose – thanks to its colour. It’s fantastically designed. 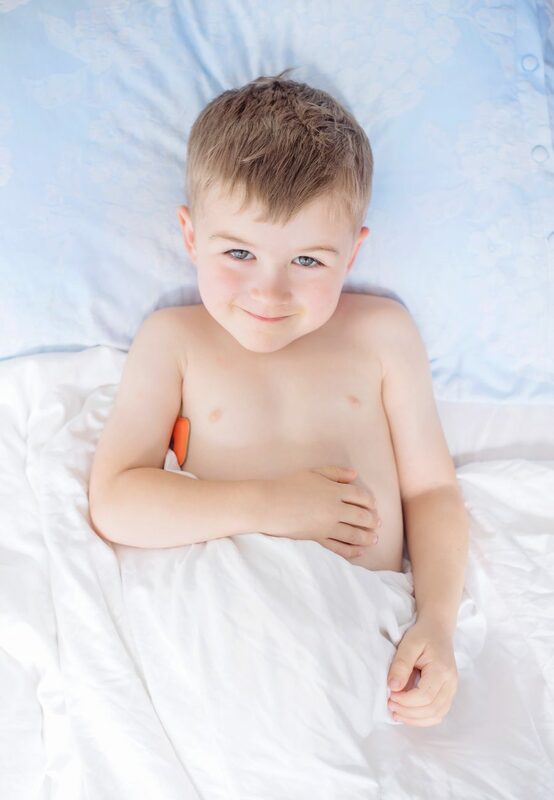 The thermometer doesn’t slip off your child’s body because of the little silicone patches – and you don’t need to contort yourself to ensure it stays in place if your little one is asleep when you’re trying to test them, or being far too wriggly. The alarm that alerts you if your child’s temperature exceeds 38 degrees celcius. That the app lets you add in the times when you’ve given medicine to your child, or note additional symptoms. This is so helpful as when you’re a panicking parent of a poorly child, and the doctor arrives to speak to you, you can bet your life that within minutes of them leaving, you remember something you wanted to tell them. Having it all on the app is easy. That the app stores a record of your child’s temperature so that if you need to show it to a doctor, you’re not babbling or panicking, and can give clear information over. That the silicone patches were a little less expensive – [£5.99 for 4] – and only 4 are included with the original thermometer. This is going to either put parents off, or mean that many will try and use the thermometer without the pads which will result in incorrect readings of temperatures. If devices like this came with 20 or so pads, and then sold them in packs of 10 for the same price, as a parent I’d be far more likely to buy them. When essentially it costs £1 a time to use on top of the original purchase price, it may put some off, which is a huge shame because this is a brilliant thermometer and something I’d recommend to all parents. There was a substance which stuck to skin when our little ones are sweaty – more sweat means less sticky power – and the pad can slip off. This isn’t something that even Nurofen can deal with sadly! Ultimately, would be buy one? Yes, without a doubt. I’ve invested in so many thermometers over the past 8 years, this would have been a fantastic purchase from the start.